Earthworms are members of the phylum Annelida. The word is Latin, meaning “little rings.” Worms have small rings around them called “segments.” The segments are essential to worm movement. Most of the segments have eight tiny bristles called “setae” around them. When extended, these bristles grip the soil. The worm can retract or extend the bristles at will. Only the very first and last segments do not have setae. The head segment usually leads the way, but worms can move backward if they want. Food and soil go into the mouth in the head segment. Worm castings (poop) come out the last segment of the worm. 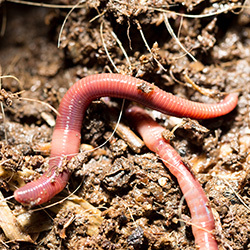 Worm castings contain valuable nutrients and soil-friendly bacteria that enrich the soil. Worms are invertebrates, literally meaning that they have no backbone. They have no bones at all, which helps them squeeze into tight spaces and around corners uninhibited. They make tunnels by eating soil and organic matter. As they move through the soil, they secrete slippery mucus from their skins. The mucus stabilizes the tunnels. Worm tunnels are crucial for bringing air, water, and nutrients deep into the soil. The worm reaches forward by contracting the circular muscles in the front part of its body. It becomes thinner and longer. 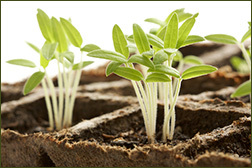 It grips the soil by extending its tiny bristles (setae) in the front of its body. The worm contracts the longitudinal muscles. The earthworm gets wider and shorter, or it curves its body. This pulls the back part of the body forward. The worm has now moved its entire body forward. It grips the ground using the setae on the back part of its body and repeats from Step 1. Worms have limited senses compared to ours. They do not have eyes, noses, or appendages. However, they have several ways of navigating their surroundings. The worm’s head has an organ called the “prostomium.” This small lobe, located above the mouth, looks similar to a lip. The prostomium helps the worm feel its way around. Their skin provides additional sensory data. Light-sensitive cells are distributed throughout its skin, especially at the ends of the worms. They can detect both the presence of light and its intensity. Worms prefer the dark, so they move away from light. Worms have sensitive skin. Contaminants such as shredded bleached office paper irritate their skin. They can detect temperature. They try to find locations with enough air and moisture. If they get too wet or too dry, they can get sick or die. They can feel vibrations, too. Snug in a composting bin, worms do what comes naturally. They use their muscles and setae to move around. They dig tunnels, making the bedding fluffy. And they excrete worm castings, providing fertilizer for your plants. When you open the bin and shine a light, worms dig down to get away. They naturally seek out comfy spots in the bin where there is food, enough moisture, and air. All you must do is provide a bin, bedding, kitchen scraps, and a safe location. Protect them from extreme cold and extreme heat, and they will work hard for you! Uncle Jim’s Worm Farm has been producing worms for more than 40 years. 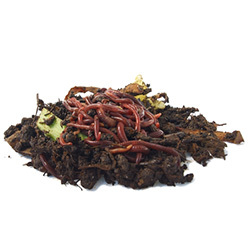 Check out our website for Red Wiggler Mix, Super Reds (European Night Crawlers), indoor composters, and supplies.